Many well-meaning parents today are mistakenly committed to removing every obstacle from their children’s lives. 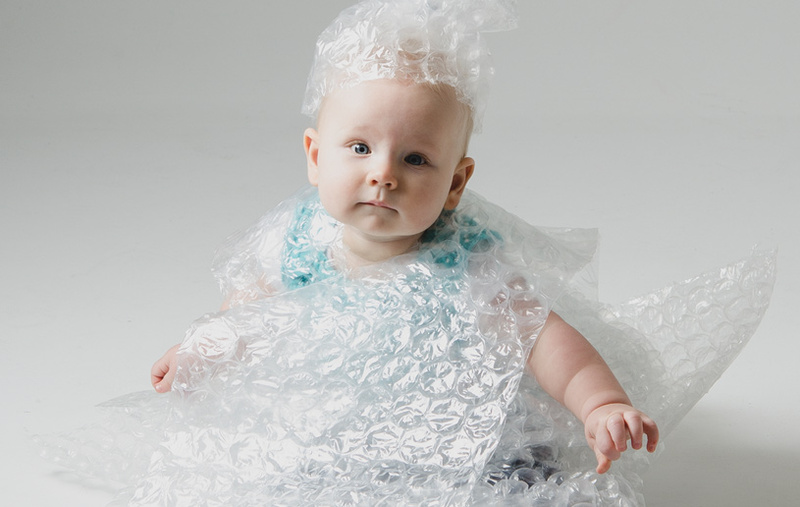 They insulate them much like bubble wrap to shield and protect their children from any and all harm. Problem: How will children learn to handle life stress with this kind of pampering? Shielding kids from suffering tends to work against their future success. Avoidance of critical conversations or denial of problems does nothing toward developing the skills needed to overcome difficulties. Jesus said it clearly, “I have told you these things, so that in me you may have peace. In this world you will have trouble. But take heart! I have overcome the world” (John 16:33 NIV). Trials should be expected. Learning how to overcome through Jesus is what matters. Difficult circumstances that directly affect our children and impact their world need to be discussed in a thoughtful and age-appropriate way to bring critical insight for their future. 1. Suffering is a normal part of life. 2. Suffering teaches things we can’t learn any other way. 3. Suffering prepares us to persevere. We don’t do children any favours by letting them live in a fairy tale world. If they don’t experience tough times, they will miss the critical experiences that give them valuable perspective about living life in spite of suffering. They need to begin to understand even the ultimate hurdle: Death is a part of life. We need to talk about life after death with our kids. With straight theology teach how to grieve, to get up, and keep going. That’s the persevering perspective. “Consider it pure joy, my brothers and sisters, whenever you face trials of many kinds, because you know that the testing of your faith produces perseverance. Let perseverance finish its work so that you may be mature and complete, not lacking anything” (James 1:2-4 NIV). 4. Parents show the way to face suffering. Children take their cues from their parents’ response to suffering. Develop crisis intimacy as a family. Care for one another and learn how to empathize with others beyond family. God doesn’t waste our pain. “Praise be to the God and Father of our Lord Jesus Christ, the Father of compassion and the God of all comfort, who comforts us in all our troubles, so that we can comfort those in any trouble with the comfort we ourselves receive from God” (2 Corinthians 1:3-4). 5. Praying is the best way to face difficulties. Prayer should be a regular part of life problem solving. Teach children to give their concerns to God because He cares for them. Don’t let them miss the building of their faith as they trust God in His silence and the dark times. “Don’t worry about anything; instead, pray about everything. Tell God what you need, and thank him for all he has done. Then you will experience God’s peace, which exceeds anything we can understand. His peace will guard your hearts and minds as you live in Christ Jesus” (Philippians 4:6-7). Enough with the bubble wrap. May the Lord guide you as you train and nurture your children and grandchildren for the path ahead. I’d love to hear from you on how you are teaching them these critical life lessons.